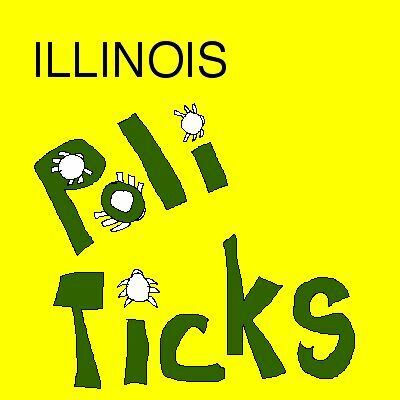 Illinois politics. It is spiraling into an absurd abyss. Former governor's main man has been convicted on corruption charges. Another long term Republican, nicknamed the Hog, because of his appetite for government funds, pleaded guilty to corruption charges, and planned to cooperate with the Feds. However, apparently he gets to keep his super-fat state pension because his criminal charge did not directly relate to his duties while holding a public office. You can be convicted of ripping off the Illinois taxpayer, and keep a sham mega-state pension (based upon end of term appointments at high salary for no work). Governor Blagojellyfish proclaimed a $5 billion deficit. His solution to the revenue shortfall? He plans to first borrow $10 billion. The reason? The fund the state pension system. Enron management: protect your executive pensions first. State medicaid providers have not been paid timely for years. Many medical providers are on the brink of bankruptcy. The Guv's solution? Borrow $300 million. But instead of paying the state's bills, he plans on loaning the money to the medicaid providers at 3 percent interest. Inotherwords, we are not going to pay our bills, but discount what we owe you, then charge you interest on bills we still have not paid. The bottom line for a huge state budget deficit is not reduced spending, but massive borrowing. Local governments have taxed their residents to the max, so they have to stretch out their sins by borrowing money that the taxpayer will pay back over the next decades. Who profits from this arrangement? The pols protect their state pensions from bankruptcy. 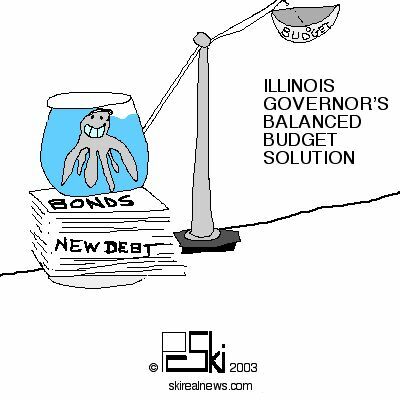 The investment bankers who bankrolled the new governor get bond offering fees during the IPO-stock market drought. The other budget trick the Governor has in store is selling state buildings. The new state of Illinois Center in Chicago is being offered for $200 million, with the state then leasing it back for twenty years for $300 million. The state reclaims the building in 20 years, and some connected real estate mogul gets guaranteed $5 million profit in the deal. It is a sweetheart annuity. Instead of saving money, this plan actually costs the Illinois taxpayer $100 million. Is there a pattern developing here? The awful truth is that there is no check and balance for these budget schemes in Springfield, as the House and Senate are controlled by the Democrats, Governor Blaggo's party.